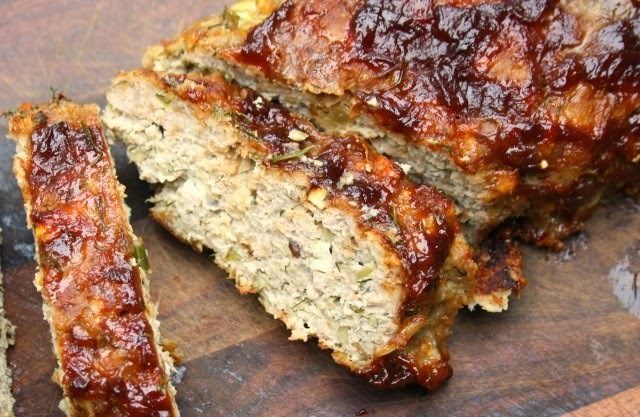 A healthy meatloaf that's studded with feta cheese and generously flavoured with dill. Kids can be great problem solvers when there’s yard work to be done. I grew up in a house with a big yard which was great for playing but it meant for a lot of work, especially come fall when it was time to rake the leaves. We’d end up with mountains of leaves that, if not for the ingenuity of my brothers, would have taken hundreds of wheelbarrow trips to move to the back corner of the yard. Instead, we put the sails from our sail boat to work. We’d haul the sails around the yard from leaf pile to leaf pile until they were overflowing, jump in them a few times and then drag the sail to the “hole” in the back corner of the yard, deposit the leaves and begin again. The whole yard could be raked clean in a Saturday afternoon. 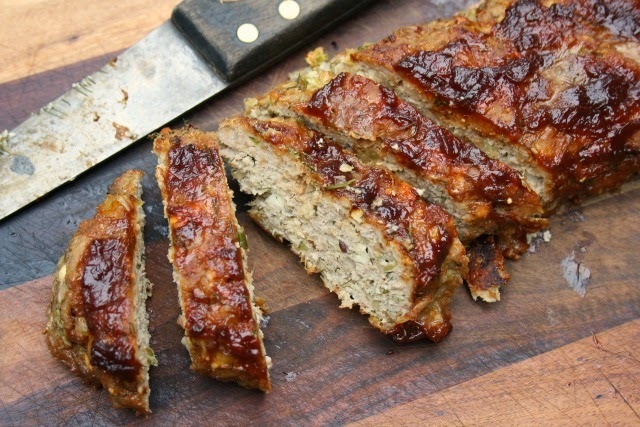 Hearty meatloaf is just the sort of thing that mom would have made for supper on crisp fall days. I was never a fan of meatloaf but I love this version. It’s a recipe that mom makes all the time now, from her friend Audrey. In it meatloaf gets a turkey do-over and a flavour boost from feta cheese and a handful of fresh dill. A slathering of barbecue sauce on top helps keep it moist. Great served hot or cold. Sauté garlic, onion and celery until soft. Shape into a loaf on a parchment or foil-lined baking sheet. Bake at 350 F for 45 to 55 minutes. Green Tip: Look for pasture-raised turkey at local markets. It's got better flavour, is more humane than factory farmed turkey.